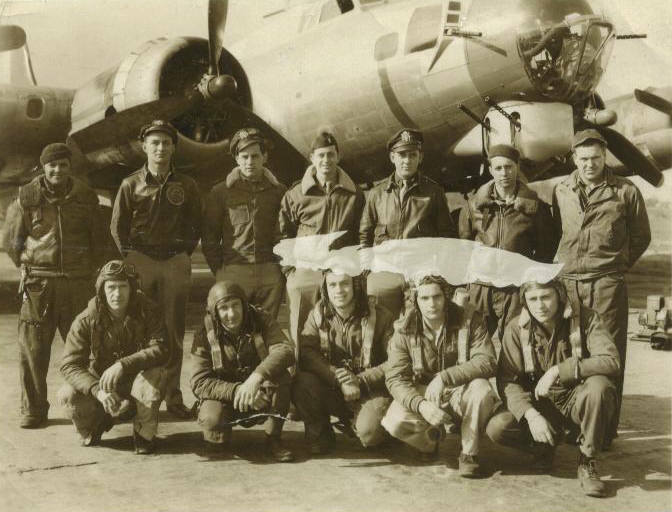 Back row (l-r): Oliver Bouldoc (Crew Chief), Lt. Blum (P), (CP), (N), (B), Harold Higgins, (ground crew) and Benjamin Hathcock, (ground crew). Front row (l-r): (R.O. ), Engineer, and gunners.